The fourth great ninja war, the most devastating war to grip all of the nations. And today in this time period it is only a vast and distant memory but having taken its toll on many other Villages, their ninja and villagers were able to recover from this fall as much psychologically as physically, though they suffered temporary effects. Tears, despair, suicide attempts, loneliness. Each of these words have played a rather painful for everyone, but today, the majority were able to move forward in order to honor this distinguished generation that sacrificed itself for peace. A peace that until today, ten years and few months after the war, was very stable but there is always an element of destabilization. Peace had finally taken hold over the lands and trade has been good. Most of the villages are on good terms with each other and their economies are flourishing, each village has grown substantially in size and the population has grown quite a bit. In this time of peace most of the kages have grown relaxed and comforted in this peaceful time, however they are still worried about a group of Ninja called Akatsuki, who seemed to be revived after the wars. The group of rogue ninja from all villages converged together into to one mercenary group. No one knows what their plan is or who their leader is now. Some say they are just waiting for one moment to strike the villages and bring ruin to them, other say they are after the Kages themselves, and even more people say they want the tailed beasts again for another plot, or all of the above. No body really knows about this group of Ninja anymore. However, there has been a substantial rumors of war spreading, which doesn't seem likely. Most of the people in the world have little knowledge of the akatsuki aside from higher ranking Ninja in the respective villages, Kages, Kages assistance's, and even higher ranking ninja. The existence of the Akatsuki is kept top secret from most other people as not to cause a panic. War has yet to break out and the Kages are trying their best to keep up appearances of peace between the lands. There may be something bigger at work. Information has also come into every village Kage's notice is a secondary group called "SIN", not much is know of this group, aside from they have very skilled shinobi that are named after the seven sins. Ambition, Passion, Determination, Dedication among but a few of the qualities we look for on the Naruto Broken Strings (NBS). 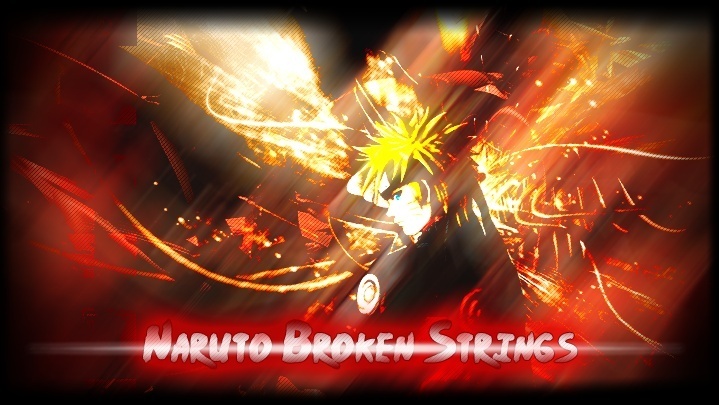 Naruto Broken Strings is a relatively new RP based with an alternate universe as the Naruto Manga/anime . There has been a lot of time and preparation put into this forum but it is now finally open to join, staff members are active and will be more than glad to aid new members to the forum until the point that they know how everything works. Newbie Rpers are most welcome, Novice RPers as well as Advanced are all welcome as the content will be suitable for all. 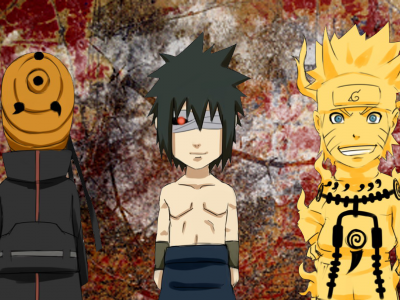 Be the next hero of the Naruto Broken Strings just like naruto by taking advantage of all the content customization available to you in assistance towards your overall goal. Once you join you will have the ability to create the strongest of all jutsu or simply upgrade weaker ones, produce powerful equipment and weapons as well as establish you own great organization. Watch as your character growers stronger and stronger from battles, missions and experiences and your RP becomes more and more better in the Naruto Broken Strings world. Gain Equipment and Jutsu from joining Plot or Event related mission and be part of the much larger picture. Although plot and event mission are the best ways of being part of plot effecting occurrences you will also be able to act freely as you wish, maybe decide to overthrow a village Kage though not recommended without powerful acquaintances. Constant Events & Competitions for everyone to enjoy.